Can it be a sign of what is ahead in the game of CD rates? Finding the highest and most worthwhile investments is becoming more difficult than in times past. Is a 2 year CD under 2.00% APY really worth the time and money? Sure a certificate of deposit will be the safest place to store your cash, but for what you get back its almost better to put the cash into an investment like real estate or a high yielding savings account. For the sake of making this simple and using an amount that is more achievable by the average American, a $1,000, 24 month CD at 2.00% will net you $40.78 AFTER 2 years! This is more than most savings accounts, but I bet you could find a car on Craigslist, fix it up and make a profit more than $40. In fact I bet you could do that a few times within the next 2 years. The point being, is it really worth sticking your money into a 2 year CD at 2.00%? That’s the question you have to ask yourself. NewDominion Bank just cut their 24 month CD rate from 2.00% to 1.95%. They are still the highest paying 24-month CD and requires a minimum deposit of $3,000. With a deposit of $3,000 @ 1.95%, this certificate of deposit will net you $119.21 in two years. Bank of Internet which is an online bank based in San Diego is paying 1.89% APY with a minimum deposit of $1,000. Acacia Federal Savings Bank, also an online bank owned by the Acacia Life Insurance Co. is paying 1.80% APY with a minimum deposit of $500. Discover Bank, an online bank by the credit card company ‘Discover’ is paying 1.80% APY on a minimum deposit of $2,500. Colorado Federal Savings Bank, also an online bank located in Greenwood Village, CO is paying 1.80% APY with a minimum deposit of $5,000. Since these are all online banks they allow anyone from anywhere to open an account and deposit funds into their certificate of deposits. Be sure to compare the best CD rates from our database of banks and financial institutions. CD rates continue their fall this week right after Bank of America cut their long term rates last week. CD rates will be at these low levels for the rest of 2010 and even into early 2011. 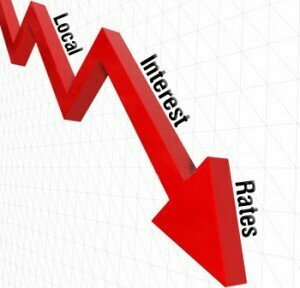 As the economy continues to slow down and inflation isn’t a threat, interest rates will stay low. To show how much the economy is slowing, a recent economic report released last Friday showed the economy growing at a measly 2.4 percent annual rate for the second quarter, down 3.7 percent from the first quarter. This slow down can be blamed by the lack of jobs and the continued stresses of the housing market. The Fed believes that inflation is still not a concern to increase interest rates, forcing both mortgage rates and CD Rates down to record lows. As long as the economy is struggling, this will keep CD rates low for the foreseeable future. For more up to date CD Rates, be sure to check out our CD Rate page.